Chelsea will play Slavia Praha on Thursday in 2018/19 UEFA Europa League quarter-final first leg as both teams eye progression to next round. The Blues go into this game as the favourites. Chelsea have now comeback to the position where they should be for sure in the Premier League meaning in the top four spots. They will be looking to be in the champions league next season. But the real focus is on the UEFA Europa League. The Blues have got a good tie in the quarter-final stage of the Europa League as they play Slavia Praha. It is a tie they will be looking forward to as they will play quality football and they must be favourites to progress. On the other hand, Slavia Praha did well to see off Sevilla in 2018/19 UEFA Europa League round of 16. They will now hope to progress further in the tournament. The Czech club have got a tough tie against Chelsea in the quarter-finals but Slavia Praha will look to give their all and hope for the best. Hromada and Tecl will both be not available for Slavia Praha for the Chelsea game as due to injuries. As for The Blues, Ethan Ampadu and Marco van Ginkel will both be unavailable as due to injuries. Slavia Praha XI : Kolar, Coufal, Kudela, Ngadeu-Ngadjui, Boril, Traore, Kral, Zmrhal, Husbauer, Stoch, Skoda. 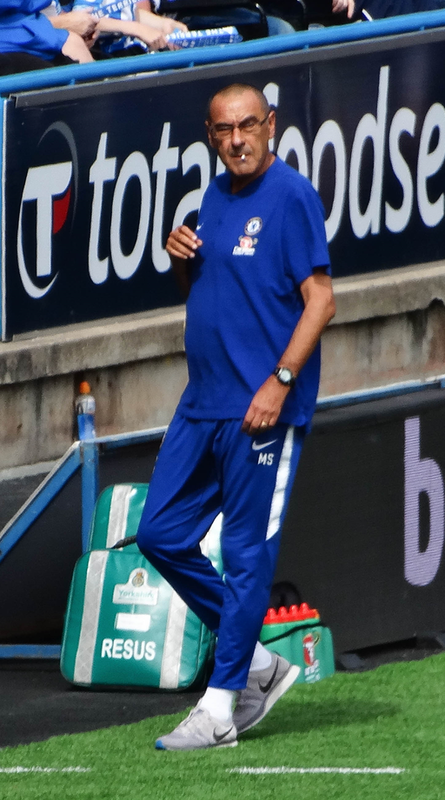 Chelsea XI : Kepa, D. Zappacosta, A. Rudiger, Christensen, Emerson, Jorginho, Kovacic, Barkley, Willian, O. Giroud, Pedro. It should be a good game as both teams will give their all. But in the end I expect The Blues to get the job done and earn a well deserved victory. They might win 3-2.